Do the Maltese have a problem with clean-ups? From Marsaxlokk to Mellieħa, they showed up in their hundreds to pick up other people's litter. And as volunteers they worked in the beating sun to keep Malta clean, many of them chatting and swapped stories - in English rather than Maltese. 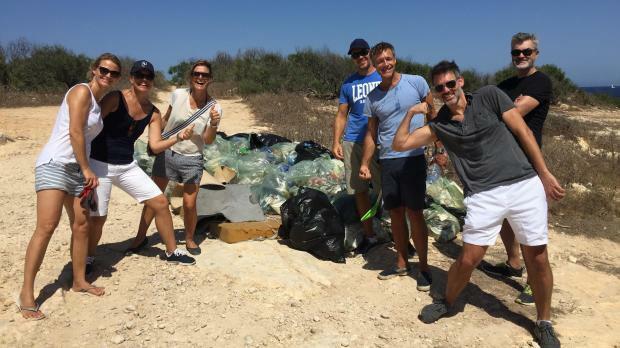 For while expats make up a fraction of Malta's population, a disproportionate number of them were right at the heart of many of last Saturday's clean-up efforts. 86 out of the 214 volunteers who registered online, or more than one in three, were foreign. 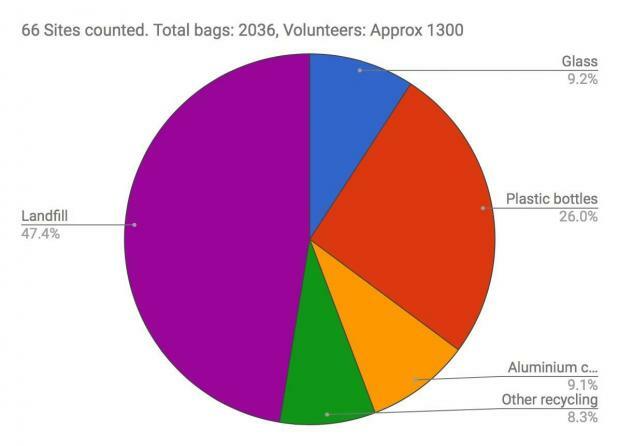 The preliminary figures are incomplete - more than 1,300 volunteers took part in all - but they reflect anecdotal evidence from many of the clean-up sites. A video of 25 volunteers cleaning up St Helen's Gate in Cospicua (see above) made the demographic divide clear. In the video, young and old, men and women speak to the camera. Practically all of them sport foreign accents. "Five to 10 were half-Maltese or Maltese," said Cottonera resident Eric Tenin, who shot the footage, by way of explanation. "But as much as I love Malta and the Maltese, I hate to see how many find it perfectly OK to throw rubbish in public spaces." In Balzan, just four people showed up for a clean-up led by a foreign resident. "I hope the woman who organised it wasn't discouraged by the poor turnout," one of those four told Times of Malta. 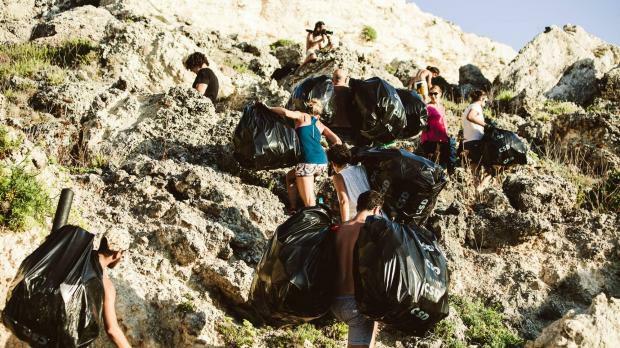 Clean-ups in Qawra, St Paul’s Bay, Għar Ħasan, Qormi, Sliema and Pembroke were also dominated by foreign participants, judging by disheartened Facebook posts complaining about the lack of local involvement. The question begs itself: why are Maltese seemingly disinterested in cleaning up Malta? Volunteers cleaned up parts of Baħar ic-Cagħaq. Swedish national Camille Appelgren, who founded Clean Up Malta and co-organised the Saturday event, has a simple theory. "The Maltese have given up on litter," she said. "They now see it as a waste of time and have lost hope that anything can change." Foreigners, she posited, were less jaded by the local political climate and were more keen to lend a hand. Those from northern Europe, she added, had an added cultural advantage: "Litter in Norway or Germany and you'll have 10 people telling you off immediately," she said. Jonathan Mifsud from co-organisers JCI Malta expressed a measure of dismay at the situation. For Cottonera resident Mr Tenin, the problem stems from a lack of education. "These things only happen because nobody has told people that [littering] is bad for the environment," he said. "Leading by example is more helpful than fining or shaming people." 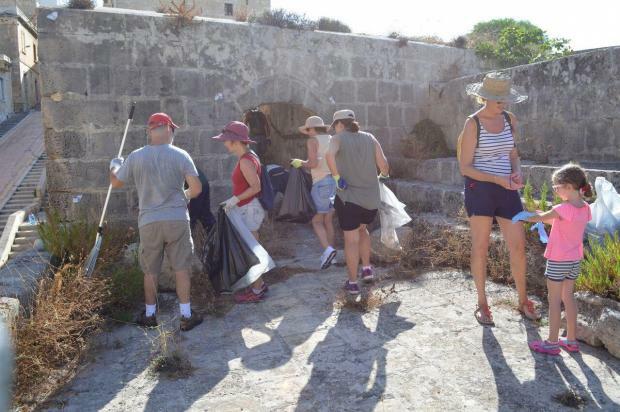 Volunteers clean up St Helen's Gate in Cospicua. Not that the nationwide clean-up was an altogether foreign affair. Scout groups, local companies and various local NGOs got in on the cleaning act and did their part. So too did a number of local councils, with mayors and councillors rolling up their sleeves at a number of clean-up sites. "People want politicians to lead by example," she said. Wherever councillors failed to do that, the resentment was palpable. "Volunteers reacted immediately," she said. "They said, 'You see. They don't care and don't want to get their hands dirty." But Ms Appelgren, in true glass-half-full vein, interpreted the situation differently. "We all want to see a cleaner Malta. Everyone wants it. But just as people have given up, so too have some councils. They think there's no hope to decreasing litter. It's very sad." The opposite can also be true, Mr Mifsud pointed out. JCI Malta's Mr Mifsud said they planned on getting more schoolchildren involved next time round. "That might help get young people to more willingly take responsibility for their natural environment," he said, "and it would also help us boost local participation rates. Ms Appelgren believes two things are needed before a critical mass of Maltese become more engaged with community clean-up efforts. The first is a change in mentality – and that means no more negative posts on social media complaining about how dirty a particular spot is. "It's demotivating," she argued. Instead, people should post ‘before’ and ‘after’ photos showing how they helped improve the situation. “Not enough Maltese understand the power a single person has to effect change,” she noted. The second criterion is just as difficult for Maltese to fathom: patience. To play your part and be notified of any further clean-up events, follow Clean Up Malta and JCI Malta on Facebook.